At Special Collections, we believe a part of our job to be informing patrons on subject matters they may be unfamiliar with. Whether those subjects are found in books from the Middle Ages, newspapers dating back to the American Revolution, or underground comics, we’re always here to give you the scoop on things you didn’t know you didn’t know. But chances are an upcoming summer blockbuster might have you wondering, “Who are the Guardians of the Galaxy and why should I see the movie?” Special Collections is here for you, dear reader! Opening in theaters this weekend is Marvel’s newest superhero flick, “Guardians of the Galaxy.” Staring Chris Pratt of “Parks and Recreation” fame, along with a handful of other well-known actors (Glenn Close, John C. Reilly and Bradley Cooper, just to name a few), “Guardians” promises to be a comic book movie unlike any we’ve seen before. And just like any good superhero movie, it never hurts to have a little backstory. 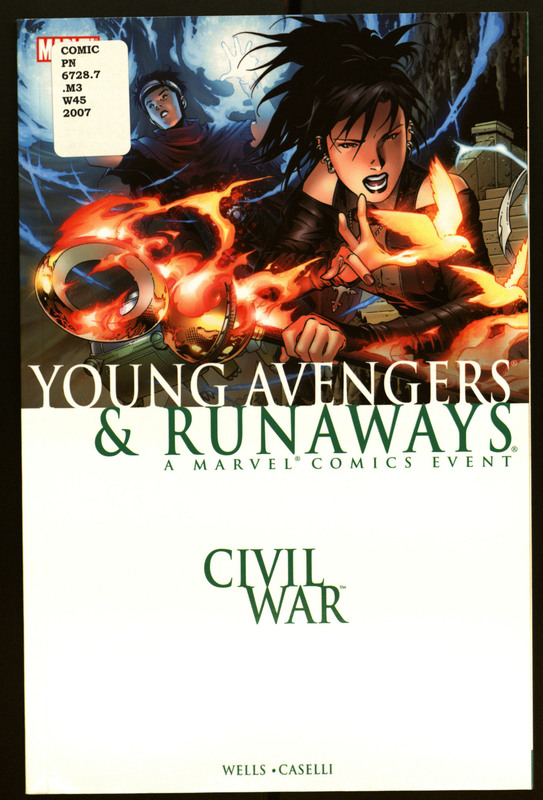 Though Special Collections doesn’t have any stand-alone Guardians comics, we do have several Marvel Comics encyclopedias and compendiums, along with several issues of “Avengers” comics (like the ones you see in this post), which take place in the same universe as the Guardians. If you want the full, detailed history of the Guardians of the Galaxy, stop on by and request a book. If you just want the Cliffs Notes version, read on! The original incarnation of the space-travelling team debuted in January, 1969. 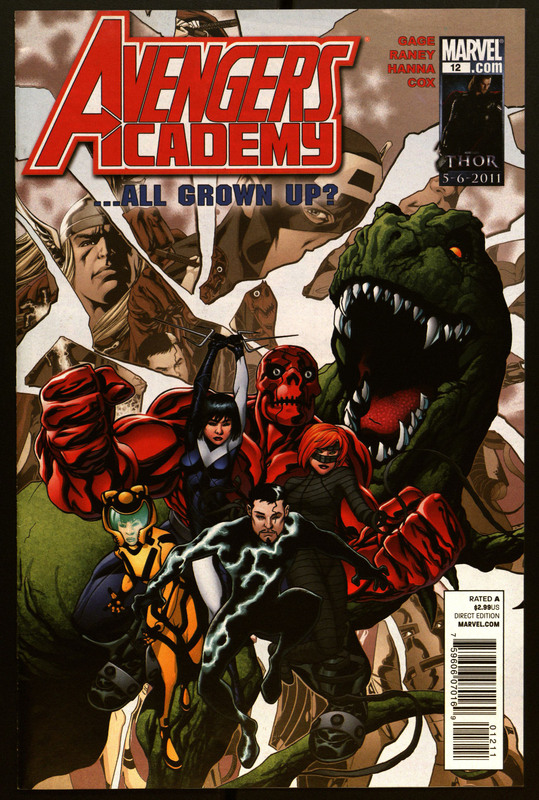 This group of Guardians never found much of a fan following, and the team was relegated to appearing alongside other heroes, like Thor and the Fantastic Four. This team shouldn’t factor in all that much with the “Guardians” film. However, in 2008, an entirely new team of Guardians was introduced. Made up of a human named Peter Quill, two aliens – Drax and Gamora – and two personified creatures – Rocket, a talking raccoon and Groot, a living tree – these Guardians found instant commercial success. A feature film set within Marvel’s Cinematic Universe was fast-tracked into production. This weekend, that movie is released. It will tie in with events that happened in “The Avengers”, and set up future events for “The Avengers: Age of Ultron”, Avengers 3 and beyond. Either before or after you check out the movie, stop on by and see us too!